Do check how mars and other planets relation - combination in your horoscope give desire results, how they react to your horoscope situation. Mars-Sun: This relation gives wonderful success to the person in administration, politics and sports. It is effective only when the Mars is not set. Otherwise it won’t give benefit. A person face accidents, surgery and ulcer problems if this relation is negative. A person would be very aggressive. If this relation is negative then you must have to offer water mixing rice to the Sun. Mars-Moon: In most cases, this relation is very auspicious. It is known as Lakshmi Yoga. A person would be rich and wealthy. He reach to the highest even though he born in poor family. A person faces hormone or gynec problems if this relation is negative. You should offer sugar cane juice to lord Shiva to avoid its negative effect. Mars-Mercury: This relation is negative. A person faces skin, mental disorder and epilepsy problem. Sometime it is difficult to cure skin problem. However, a person would become engineer if this relation gives good result. You must have to offer Tulsi to lord Hanuman to get rid from its negative effect. Mars-Jupiter: This relation creates too much energy. A person have knowledge, hymn or law power. A person makes progress quickly if this relation is positive. However, a person gets ego and use his power in negative way if this relation is inauspicious. In this case, you must have to wear yellow thread in your hand. Mars-Venus: This relation gives negative and positive results. It creates too much attraction and increase sexual feelings. A person is attractive and romantic if this relation is auspicious. But a person would be characterless and sensual if this relation is inauspicious. In this case, you have to do fast on Monday. You have to use less onion, garlic and ginger. Mars-Saturn: This combination creates too much fire. A person has to face accident, surgery and terror when it is effective. If this combination is favorable then person would go to the top very rapidly but he will die suddenly. If this combination is negative then you have to do Aarti of lord Hanuman on Tuesday and Saturday. 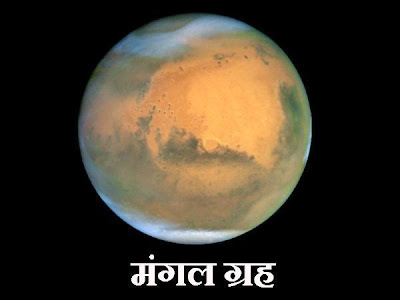 Mars-Rahu: This relation is known as Angarak yoga. Usually it gives negative results. A person face problem in air travelling, electrical stuff and cooking. In this case, you must have to worship lord Kalbhairav on Tuesday. Mars-Ketu: This relation is courageous. It gives courage to the person. It is found in warriors and knight. A person gets fame in war if this relation gets support from Saturn. You can wear Hanuman Chalisa in copper. Remedy: There is no importance of shape of coral. It gives similar benefit. You can wear it in copper to get more benefit.